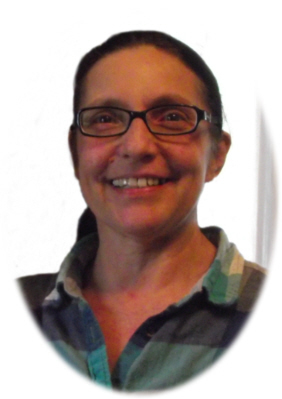 Margy Mae Taylor age 58, of Ovid, MI, passed away Tuesday, March 19, 2019, at her home. Funeral Services will be held at Smith Family Funeral Homes - Houghton Chapel, Ovid, MI, on Friday, March 22, 2019 at 11:00 A.M., with Pastor Mona Kindel officiating. Visitation will be held on Thursday, March 21, 2019 from 2-8 P.M. at the funeral home. Burial will take place at Middlebury Township Cemetery at a later date. Margy was born in Lansing, MI on March 26, 1960, the daughter of L.G. and Anna (Frost) Olger. Margy worked at Demmer for 25 years. She had previously been employed at the Argus Press and Becker Manufacturing both in Owosso. She loved watching Young and the Restless, and NASCAR; Jeff Gordon was her favorite driver. She liked playing bingo, fishing, and spending time with her family and friends. She is survived by her daughters: Charity and David Garcia and Hunter Jones; grandchildren: Mckenzie "Tweeters" Henning, Kiana "Bugs" Henning, Kyren Henning, and Kellen Garcia; siblings: Lois Alward, Lorna Evans, Charles and Heidi Olger, Mary Smith, Clyde Olger, and Helen Allen. She is also survived by special friends John & Candy Bush and family and several nieces and nephews. She was preceded in death by her parents, son Gregory Taylor and brother Henry Olger. Memorials may be made to the wishes of her family for the care of Hunter. Online condolences can be sent to www.smithfamilyfuneralhomes.com. The family is being served by Smith Family Funeral Homes - Houghton Chapel, Ovid, MI.